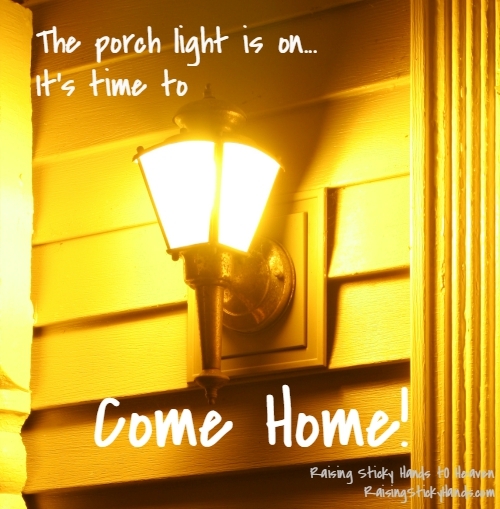 The Porch Light Is On… It’s Time To COME HOME! One day last week a thought came to mind about how so many say they want Christ in their life, but they are just not ready. I was sitting at my sewing machine thinking about this and I remembered how Jesus asked God that if it was His will, to keep Him from having to be tortured and crucified. Two days later I made a graphic and posted it to a few of our social media pages. What are you waiting for? Don’t wait until it is too late! The night that I posted the graphic to our Facebook and Instagram profiles, I had a dream. In my dream, a group of us were sitting in a front yard and I felt that we were at home. That we all lived there. I was surrounded by family, friends, and people I don’t know. But in my dream, we were all family. Many heard us, woke up, and came running in the gate for a happy reunion while some continued wandering. I woke up excited, but concerned. The church is on the verge of a revival. God wants His children, our brothers and sisters, home before it gets dark. How many of our loved ones are too busy to realize that it is getting dark and almost time to go home? We need to start getting their attention! Why aren’t we trying harder? Are we too busy to care about the souls that need Christ? I want to challenge every Christian to call or message someone they know that needs Jesus. Reach out to them. Ask them how they are doing, if they have given any thought to God lately. Remind them just how much He loves them. See if they want to meet up to talk or come to church with you. Don’t make a laundry list of their sins and tell them how wrong they are. Love the lost more than the enemy hates them. Just shine the light of Jesus in to their life. Call them in the gate so that they will be ready to go inside when the light turns on. Some people just need that little reminder and will come running right back in. Others may not be as eager to listen. Keep praying for them and being a friend to them, don’t just shut them out. With everything going on in the world, it is too easy to just give up and say that no one wants to listen. We need to keep fighting the good fight and bring in the lost! Wake them up and ask them to come home! Let’s do this! Are you with me? 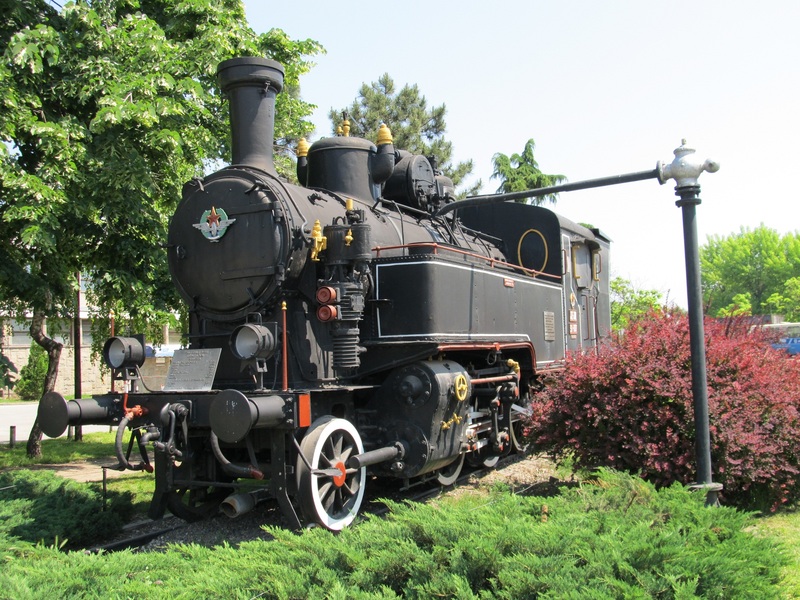 We need to let everyone know that it is time to COME HOME! When I woke up from my dream, I had a song in my head that was sung during many altar calls in my childhood… Listen and enjoy! Imagine for a moment that there is a woman who has only two options of places to live. Both potential roommates offer for her to live in their homes for free. The first one says that he loves her and will take care of her every need, but actually hates her and is extremely jealous of everything about her. While he is very abusive, he has others in the home show her ways to dull the pain, lie to her, and cause her to feel an artificial love so that she is content and does not always feel the strain of the abuse. His intent is to strip her of everything with one hand while he pretends to care for her with the other. While the smiles are false, her roommate (slave driver would be more appropriate) steals everything he is jealous of and she is constantly watching her back. The words in her ears sound positive and her body momentarily feels good. The second one offers to care for her with nothing asked in return but love… which comes easily the more she gets to know Him. He has many gifts for her, some of which she will attain over time, and while He is honest about the fact that there will be difficult times He makes sure that she knows that He will always be there for her. He asks the others in the home to help her get settled in, but instead some of them berate her, tell her that she is not good enough for Him, and become angry at her for not already knowing the rules of the house upon arrival. While the Homeowner is grieved and tries to let her know that He does not feel this way and that the others are wrong, she is so hurt and confused that she considers returning to the home of the one who had no love at all… If the others in the home feel that way and tell her that she is not good enough for Him, she assumes that He must feel that way as well. Okay, I didn’t promise the best writing or illustrations here. HA! It may read out pretty lame, but you probably already get where I’m going with this… because you’re smart and saw the title and the story was obvious… but anyway, this is a big part of what has been going through my heart lately. It seems that we as Christians are so often misunderstood, and to be honest, sometimes we are just flat-out harsh when we should try a different approach. We are quick to judge, defend too fast, and try to dictate instead of love. To someone who didn’t grow up in a Christian home to know and understand what some of what we are conveying to them means, it comes out kind of hateful. How would you feel if you walked into a new friend’s house and their daughter started critiquing every bit of who you were? Not so good. But that’s how we come across sometimes to people who have been lied to their entire life by an enemy that hates them more than we love them. Oh, he hates them alright. He hates all of us. 1 Peter 5:8 in the NKJV states “Be sober, be vigilant; because your adversary the devil walks about like a roaring lion, seeking whom he may devour.” Satan is jealous of us because we are made in God’s image, we serve God, and we are loved by God. When someone is living in sin, satan is happy because if he can deceive the person enough their hearts will become hard and cold towards God. 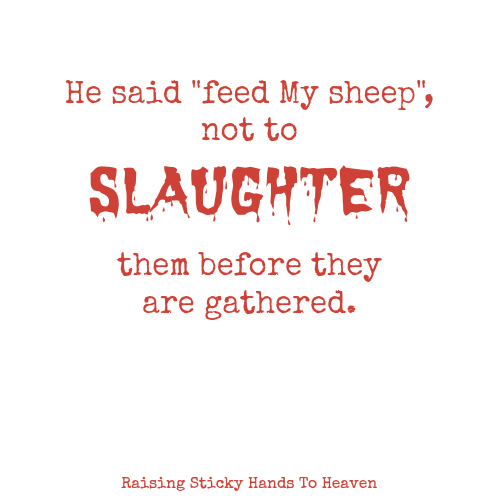 It’s the only way that satan can hurt God, by stealing those that Christ loves and dragging them into eternal punishment with him instead of them spending eternity with our Father. Am I saying to not call sin what it is and help others see the way? Certainly not. What I am saying is that we need patience and compassion. We also need to realize that most people who are lost have never read a Bible and many that are lost are not likely reading one currently, so we are the only Bible that they are “reading.” Ouch, hurts, doesn’t it? We are so wrapped up in our doctrine and appearance of holiness that we have forgotten the great commission of going out into the world and preaching the gospel… and that none of it means anything without love. (See below.) We are not of the world, but we are in it. We should be going out and sharing the Word of God, not judging, condemning, and nitpicking. Although our intentions are well and we know where our hearts are, we don’t take the time to listen to ourselves and hear how we are coming across. While some are brought in with tough love, it does not work for all. Especially for those who have grown up in a world that has treated them brutally. We have to speak the truth, yes, but we have to consider how we are delivering it. We have all heard the phrase “you can catch more flies with honey than you can with vinegar.” Why do we forget this simple metaphor when it comes to winning the lost? We need to be honest and let the Holy Spirit lead us so that He may bring the conviction on their heart to turn from the sin they are living in. You see, it was in my own life, recently, where I realized that I was putting out more vinegar than honey when it came to witnessing to a particular soul that I care a great deal about. Funny (actually, not so much) thing is, that is not how I was won back to Christ when I recommitted my life to Him about 8 years ago. Many had tried that approach, because they knew that I knew the truth, but they had also made me feel shunned and unworthy. It was actually Karen and Emily’s Mom and Step Dad, Momma Ann and Poppa C, that told me that they loved me, even in my sin, and that Jesus still loved me too. They didn’t judge, condemn, or preach. But they did tell me often how much Jesus loved me. Oh how I hated hearing that at first, but eventually it got through my tough skin and caused my heart to yearn for Jesus again. It wasn’t protesters or loved ones rolling their eyes at me. Not being told that I was becoming nothing and going to hell. It was love, and hearing that Jesus still loved me after all that I had done against Him. That was what drew me back in. So why would I think that the negative approach that I hated so much should be practiced by me? Ugh. Hypocritical, much? Ephesians 6:12 states “For we do not wrestle against flesh and blood, but against principalities, against powers, against the rulers of the darkness of this age, against spiritual hosts of wickedness in the heavenly places.” Yet here I was, fighting my loved one instead of the evil and wicked that is trying to steal their life. I kept reminding them of everything wrong they were doing and how disgusting it was in the eyes of God instead of declaring the love that God has for them when they are so hated by an enemy that wants to see them dead… And THAT is how this new favorite phrase of mine was born. 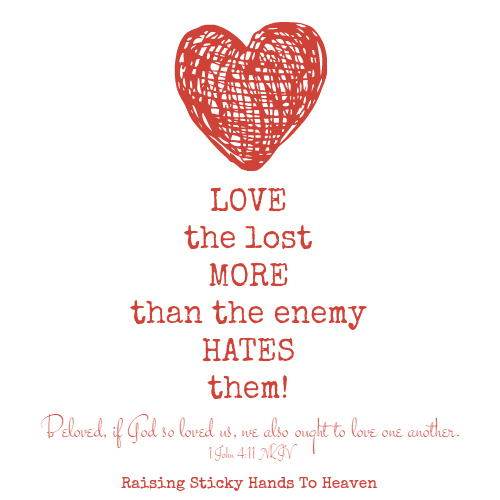 I want to LOVE the lost MORE than the enemy HATES them. Not only those that I know and love deeply on a personal level, but anyone who is living without Jesus. Just because they don’t realize that satan is there, or maybe they do not even acknowledge him, it does not mean that he is not lurking, tempting, perched and posed, ready to devour them. The fact that God loves them with more love than anyone can ever comprehend is not changed by their blindness or denial of it. How can we make them want this love that we have? How can we fight the enemy? With fierce unbridled love! Love overcomes all. Love, with faith, can move mountains and transform the world. Who wants to become like the angry person? No one. It is the kind and compassionate that cause others to say, “what has that person so happy? I want to be like that…” When you show the love of Jesus fiercely, unconditionally, and abundantly… THAT is when you will see the lost running to the cross, the world transformed, and hearts softened. Not with flashy shows, angry finger-pointing, and weak theology. Too many are running lost. It is time that we sound the alarm and flood the darkness in this hate filled world with the LOVE of JESUS! Again, my point is not to stop calling sin what it is or to not stand up for what is right… we should do those things. But we need to carefully and prayerfully consider our approach. 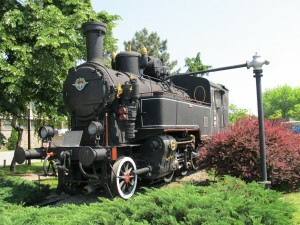 I sit here typing while my mind is racing like a run away train. I’ve been thinking and pondering on those whom I used to look up to. Those who I watched while I was growing up and just knew that they would always be there to continue to lead others. I see the destructive path that they have taken and it breaks my heart. It’s like satan is the puppet master and his stealthy hands are directing the strings of their lives. Almost like a shadow of their former self is just in reach, but it’s no where near the person that they used to be. The Bibles tells us, that in the last days, that the very elect will be deceived, if possible. As I see many leave the church, not just the church but Christ in general, it saddens me. I face my own trials but it is not flesh and blood that I battle. It is the powers and principalities of darkness. Why come this far, to turn and go back to a path that leads to destruction? “O, taste and see that the Lord is good!” How can anyone turn away after tasting the fruit of God? I have never walked a mile in their shoes. I don’t know what daily demons that they face. I am most certainly not their judge. I do have to pray for them and love them. I haven’t seen some of them in years, but I cling to the hope, and have faith, that God will continue to deal with their heart, and that they will heed to the calling and wooing of His Spirit. As my soul and heart cries out for these souls and others, I urge you to help me pray for the lost souls across this land. For those who have never embraced God’s salvation and those who have turned away from Him. Time is growing short. Sound the alarm! Christ’s return is at hand.